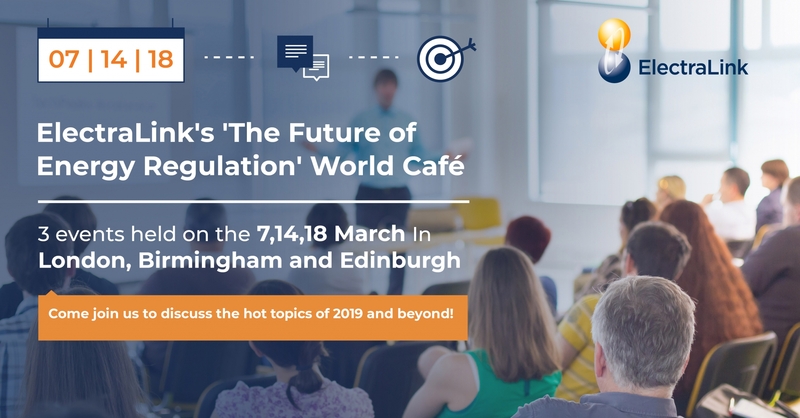 We are delighted to be hosting three exciting World Café events this March, on the topic of energy regulation to discuss the ever-evolving energy landscape and shape how we can manage effective regulation through the Retail Energy Code (REC). The World Café will be split into two sessions, with the morning looking at the future of Energy Regulation and the afternoon focussed on the REC. The day is designed to be an open forum to encourage discussion and facilitate debate on the topics on the horizon. Lunch will be provided. The three events are to be held in London, Birmingham and Edinburgh, and enable our customers, colleagues and industry peers to attend wherever is most convenient for them in the UK.